CERN-LHC WATCH: Evidence and Connection to the Occult! CERN turned on a few days ago, but some people are still skeptical that this “scientific” endeavor has anything to do with the occult rituals, or opening portals. But anyone who does any research will find that the entire operation is full of occult symbolism. In this video, I share the words of the physicists themselves, who say they are trying to open portals. And we speak to Kris from End Times News Matrix, as she discusses her research into the occult realm from the Biblical Worldview. She has found that the zodiac, Mythra, the Ankh and many other Egyptian symbolism is all over CERN and the LHC. There is just no way to deny now, that CERN has a lot to do with the occult, to open up a portal, to let through, according to Kris, the 8 spirits who are the 7 fallen angels. Mayan calendar left, CERN-LHC right. Why do they looks so similar? 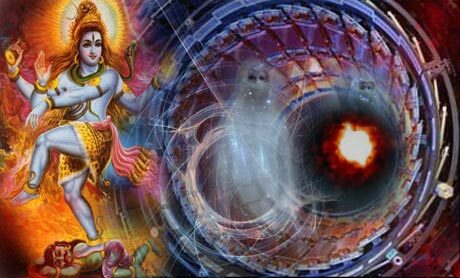 Is the CERN Large Hadron Collider an attempt at opening inter-dimensional gateway, StarGate, portals … for fallen spiritual beings to come into our dimension?